On June 12, things are going to get wild! Quickspin is bringing you its most ambitious slot to date, packed wall to wall with features in a quality you won’t find anywhere else. The name Dwarfs Gone Wild was chosen for a reason: not only is the screen regularly filled with dwarfs doing their shenanigans, all seven of them have literally dedicated themselves to finding wilds for you. It’s no fairy tale – in Dwarfs Gone Wild, you can win big. All of know us know the story of Snow White and her dwarf friends from Walt Disney’s famous animated movie. Quickspin decided it was time to give the small men an update and represents them in Dwarfs Gone Wild through seven different jobs rather than their personalities. Each dwarf has a particular ability that makes him so good at what he does, as well as a unique, fun look. Every Quickspin slot is beautifully rendered, but the dwarfs may be the studio’s most detailed characters yet. Each is a personality all of his own, designed and animated with a clearly visible love for detail. Rather than work at the mine all day long, all seven dwarfs have become part-time treasure hunters, here to help you get to the gold. In this 5×3 slot, free spin bonus symbols show a mine cart full of gold. Collect seven carts and you gain seven free spins, during which the dwarfs will help you win as much as possible. Once you enter the free spins round, you gain seven different bonus features, one for every dwarf. Every single one works in a different way, just like every dwarf is unique. The banker is a sophisticated fellow and owns enough money to share it with you. He multiplies free spin wins in one of three ways. The bomber, racer, strongman and huntsman spread wilds on the reels in different ways that represent their personalities, and the blacksmith fills a full reel with wilds. 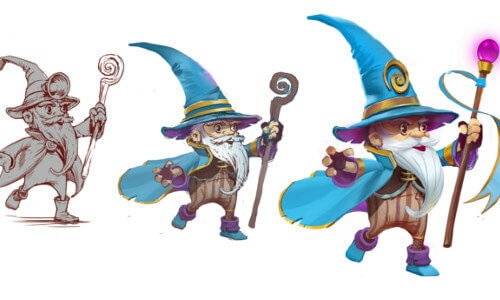 The wizard is the only dwarf who has nothing to do with wilds. Instead, he grants you additional free spins. That’s not all – where there are dwarfs, there’s Snow White. The fair princess joins in on the fun as a symbol with special extra features to boost your wins. Quickspin slots always boast great chances to win, and Dwarfs Gone Wild seems to be no exception. It’s definitely an ambitious project, aimed at giving casino players more ways to win in what looks to be a thoroughly enjoyable package. Of course we at Quickspin Casinos will thoroughly test the slot before it comes out June 12 to let you know if it delivers on its promises. Simply visit our slot review section shortly ahead of release to learn more.